For those interested migrant associations, due date for the support application (1.500€) is on 15 September 2017. More information can be found at the website: www.hor.miso-netzwerk.de. The workshops and seminars that MiSO-Netzwerk Hannover e.V. organized, are addressed to their members, all of migrant associations based in Hannover area. The workshops could be, for example, an introduction to Accounting for associations or Press and Public Relations, Computer basic course or Food safety or Hygiene. These Workshops are required by most of the migrant associations, since their work needs to be improved and every day more professionalized. The advantage of Migrant’s association is that they can control which instructions will be implemented. Would you like to become a MiSO’s member association? 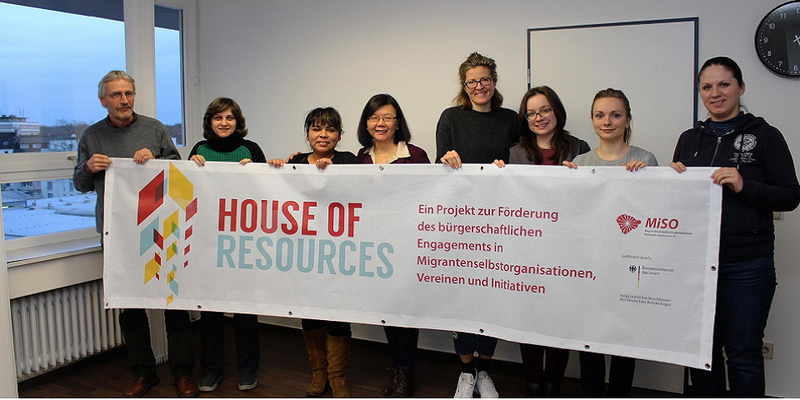 Are you a migrant association based in Hannover area and would you like to be informed?